Sparkly | Just Jess Fashion! Put em all together and you’ve got Malibu Barbie! Confession time…Halloween is my favorite holiday. For someone who works retail, it’s one of the few holidays I can actually take off and celebrate in peace. To those brave souls who work in the Halloween stores, I applaud you and thank you for your service. Don’t get me wrong, while I love the foofiness of a store bought costume, I thoroughly enjoy calling upon my inner Martha Stuart to see what I can come up with. While it is my lifelong dream to dress up one day as Britney Spears from her MTV VMA “Slave For You Performance.” My abs need more definition before I can make that happen. 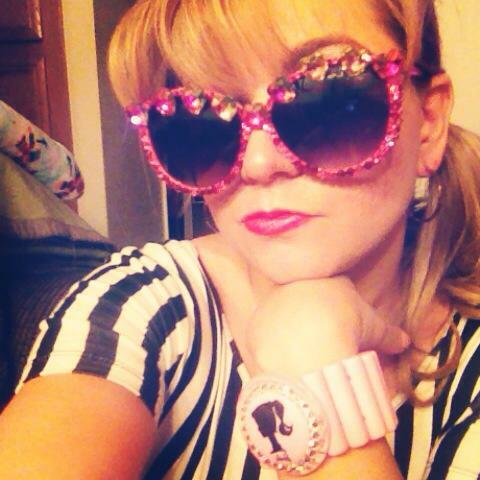 There are so many great things about dressing up as Barbie! My makeup gets to be sparkly and pink! There is no such thing to wearing too much sparkle. And I finally have an excuse to wear my hot pink Alice and Olivia Rain Coat. This years costume was sooo much fun! People actually came up to me and shook my hand because of how brilliant my outfit was. 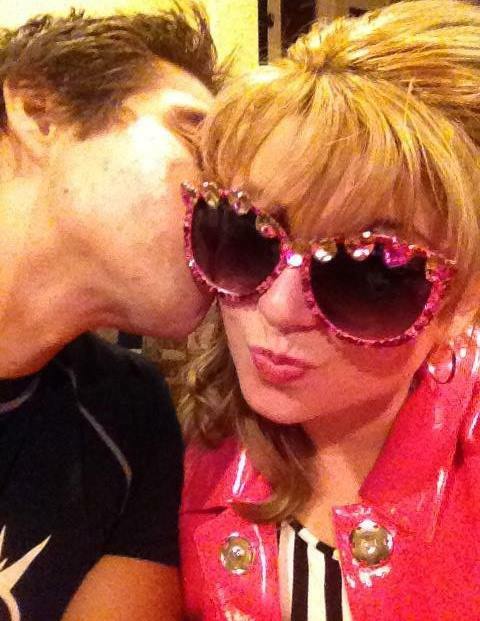 Some people thought I had dressed up as Gaga, another thought I had dressed up as Elle Woods from “Legally Blonde.” My response to that is I object! But I do love her too. 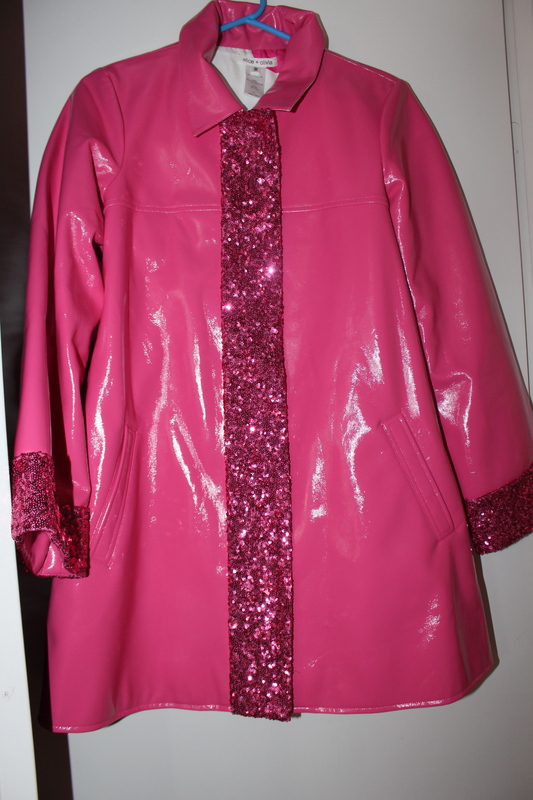 My Barbie Jacket aka a Raincoat by Alice and Olivia. Of course the jewelry for the night came from my favorite accessory designer Tarina Tarantino. 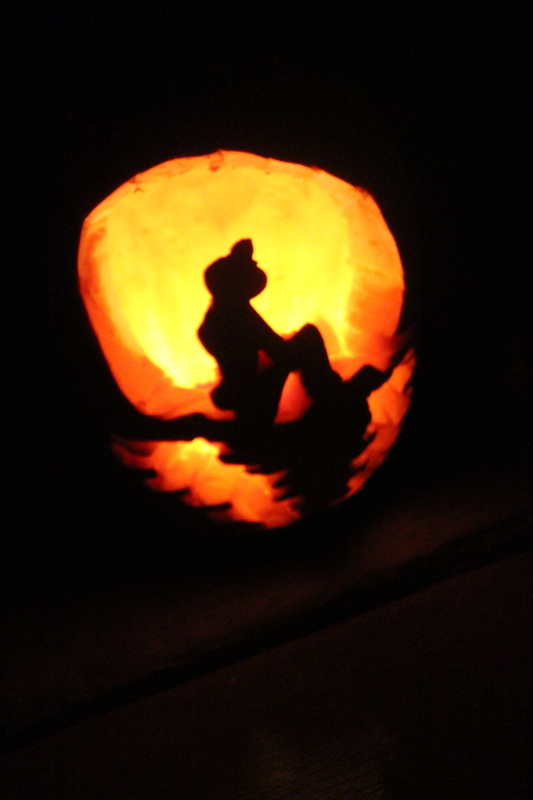 All this talk of Beach Barbie even inspired an ocean themed for my pumpkin. Ordinary is not in my vocabulary but thingamabob and dinglehopper are. FYI I did this completely free hand. I wouldn’t even know where to get a stencil, but I did get the idea for the silhouette from Pintrest. All I know is I can’t wait till next year! And who knows, maybe I’ll do this Barbie thing every year. Lord knows there are more than enough outfit choices, and hopefully next year I’ll have a hot pink corvette or at least a Barbie dream house to match. Even my boyfriend got into the act and went as Surfer Ken. He’s kind of a dream boat.